Five students from Dixons Unity Academy in Leeds celebrate being crowned champions of Yorkshire as they go on to represent the region in The Prince’s Trust Enterprise Challenge National Finals 2019. They successfully fought off tough competition from the other top four finalist schools in the region, beating pupils from Lawnswood School, John Charles Cockburn Academy, Mount St. Mary’s and Astrea Academy Dearne. Aadil, Atheer, Jack, Hammad and Abhijeet – together better known as Team A.I Class – went on to win the Yorkshire Enterprise Challenge 2019 held today at KPMG in Leeds. The team won the judges over with the social enterprise idea of bringing schools into the 21st Century by harnessing the power of artificial intelligence in the classroom. The students pitched their social enterprise ideas, Dragons Den-style in front of highly acclaimed judging panel from a spectrum of backgrounds that included: Bradley Keast, Director M&A Tax – KPMG, Atifa Shah, Chairman – Mosaic Yorkshire RLG, Entrepreneur, Ajaz Ahmed and Andrew Hebden, Partnerships Advisor – Bank of England. Keynote speaker on the day was Founder of Yorkshire Dama Cheese, Razan Alsous. The Enterprise Challenge, sponsored by the Apax Foundation, is an annual, national competition during which secondary school students aged 11-16 years old learn about establishing and running a business. 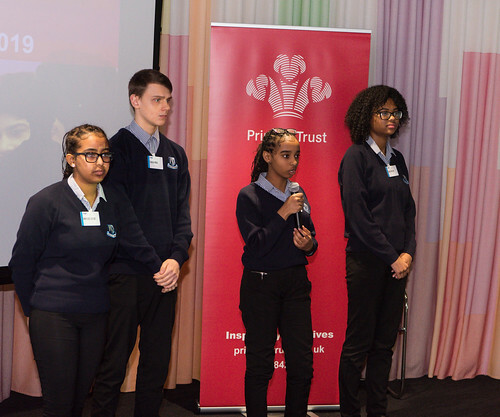 Experienced business professionals mentor and support the team through a business simulation game, with the highest-scoring team in each region creating their own social enterprise business ideas and pitching them in regional and national finals. This year 61 schools and over 2500 students in six areas of the UK including the South East, the West Midlands, the North West, in Yorkshire, London and Glasgow have participated. The Enterprise Challenge National Finals takes place on Thursday 02nd at Hogan Lovells, London.